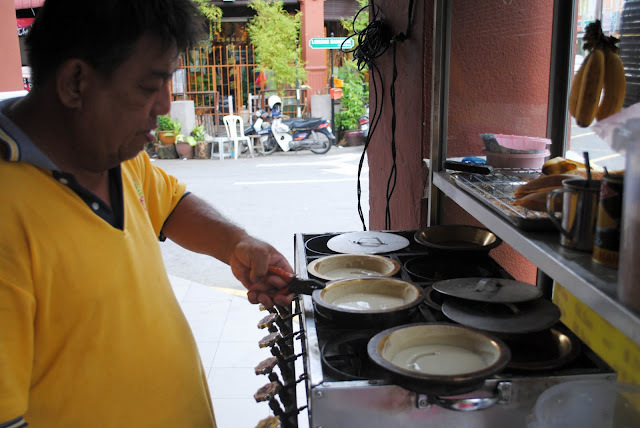 This uncle is really "professional" when it comes to making the Msian Pancake~ Plus his really friendly too! 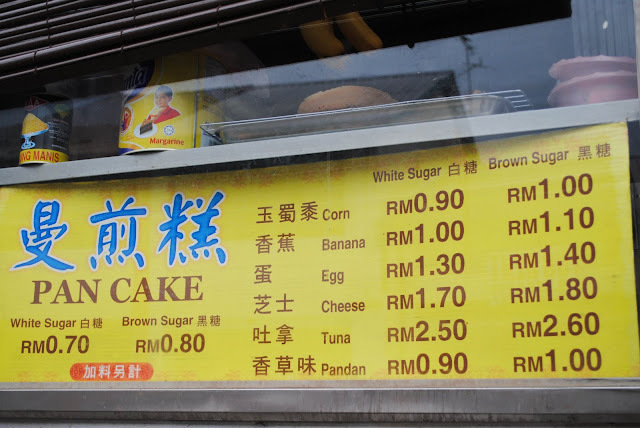 U can order a plate of corn pancake for only 90 cents!! Worth filling your stomach with such a price~ In addition, it smells really good...love the aroma! 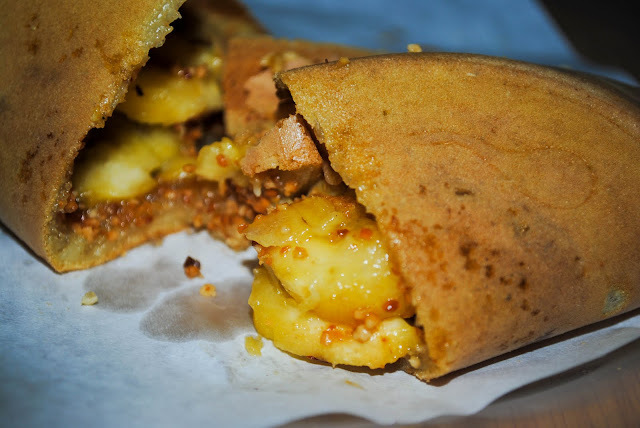 I recommend u guys to order the banana pancake. It's really nice! TRUST me guys~ *stoamach groaning* The crust is super duper crispy!!! And furthermore, it's only worth RM1.00! Is it along the road one? Along the intersection? to live life: Yes along the road..along the intersection..same shop as the famous indian mee goreng! OMG! 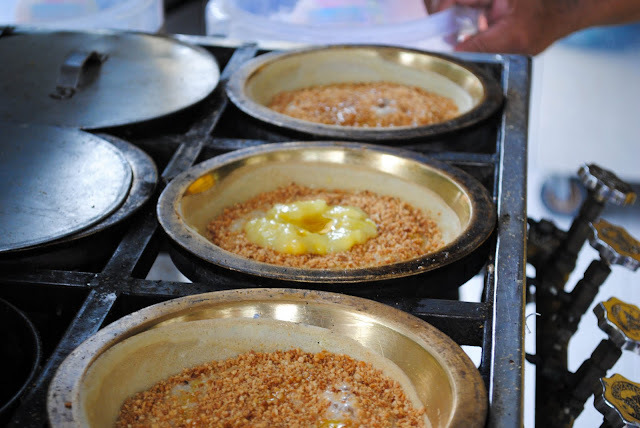 Gonna try this out if I am in Penang!